We're going to be at two more cons this fall. 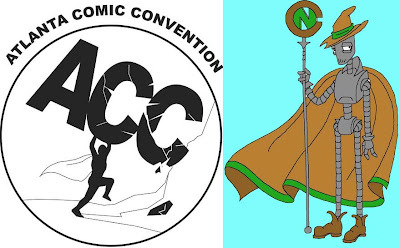 We'll have a table at the Atlanta Comic Convention on Nov. 6 at the Marriott Century Center on 2000 Century Blvd., Atlanta, GA. 30345. After that, we'll return to Nerdacon run by Campus Nerds on Nov. 12 in the Davidson Student Center at Columbus State University on 4225 University Ave., Columbus, GA. 31907.